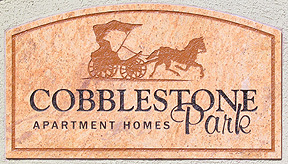 The perfect blend of location, lifestyle and luxury is what you will experience at Cobblestone Park. 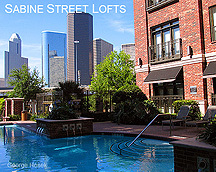 Welcome to George Hosek Apartment Locator Service, a stunning visual and informative guide to Apartment, loft, and High Rise living in Houston and the surrounding area. 1. Write my name ( George Hosek ) on the Lease Application and Guest Card as your referring agent or locator. 2. 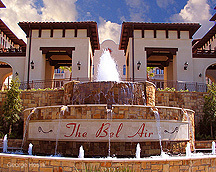 Contact me after you fill out the lease application at 281-782-3270 or click here to email me. 1. This is a Totally FREE service, I am a licensed apartment locator and real estate agent, whose fees are paid by the Rental Communities. Please remember, you do not pay more for rent when you use a locator. 2. I Specialize in Houston's Apartment, Loft and High Rise industry, I'm able to guide you to the best possible apartment for your needs. 3. I have few expenses, which enables me to give Rebates to my clients, much more than other apartment locators, most do not give Rebates. 4. Personal one-on-one service, no on-line forms to fill out, just contact me by phone 281-782-3270 or click here to email me. Contact apartment locator George Hosek for pricing and availability, 281-782-3270 or click here to email me. Exquisite one, two & three bedroom apartment homes. White European kitchen & Baths. Ceiling fan in living & master bedroom. Deluxe appliance package with frost-free refrigerator with ice maker, dishwasher, self cleaning oven and microwave. Please allow me to introduce myself, my name is George Hosek, I'm a licensed Real Estate Agent. I own the Texas Explorer website, a travel magazine which draws thousands of visitors each month. As part of this site, I built this Cobblestone Park webpage, not only to help educate the public about one of the newest apartment communities in the Pearland area, but also to inform potential renters about the Substantial Rebates that I give to my clients. 1. Write my name ( George Hosek, Realty Associates ) on the Lease Application and *Guest Card. *The guest card is filled out by the apartment sales rep. on your first visit, make sure you tell the sales rep. I sent you. 2. Contact me after you fill out the lease application or before you sign the lease at 281-782-3270 or click here to email me. It's that easy! Your Rebate check will be sent to you 6 to 8 weeks from your move-in-date. If you have any questions please contact me, anytime. 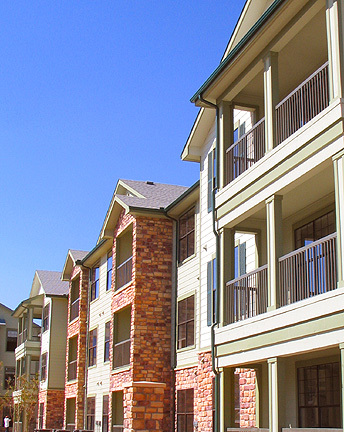 If you're looking for apartments in Houston, Pearland, Clear Lake, The Woodlands or Galveston, click on the link below. All content copyright George L. Hosek. The articles, photographs and videos on this site are for viewing on your computer only, absolutely, no commercial or personal reproduction without written consent from George Hosek.